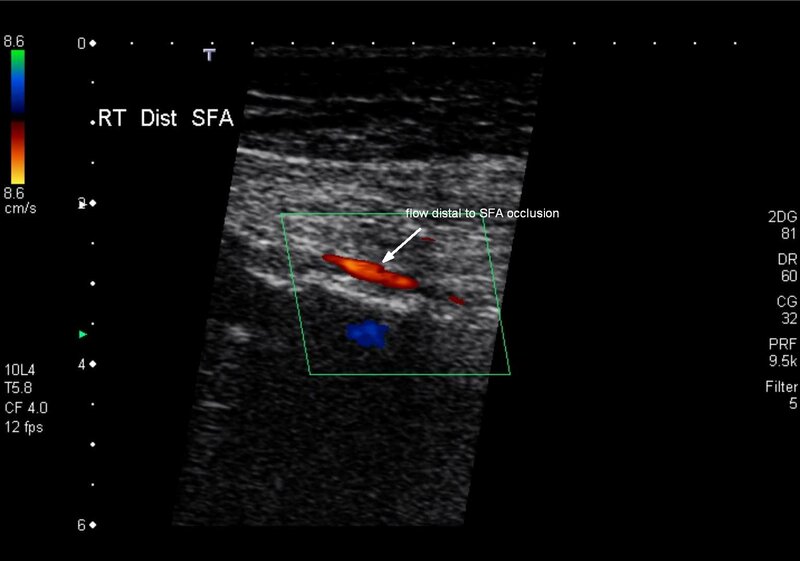 This pathway provides guidance on the imaging of adult patients with suspected peripheral vascular disease. 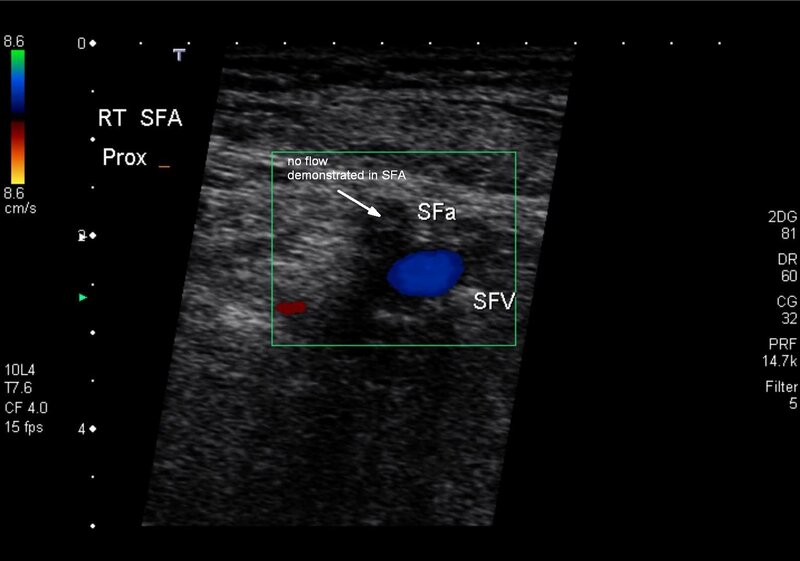 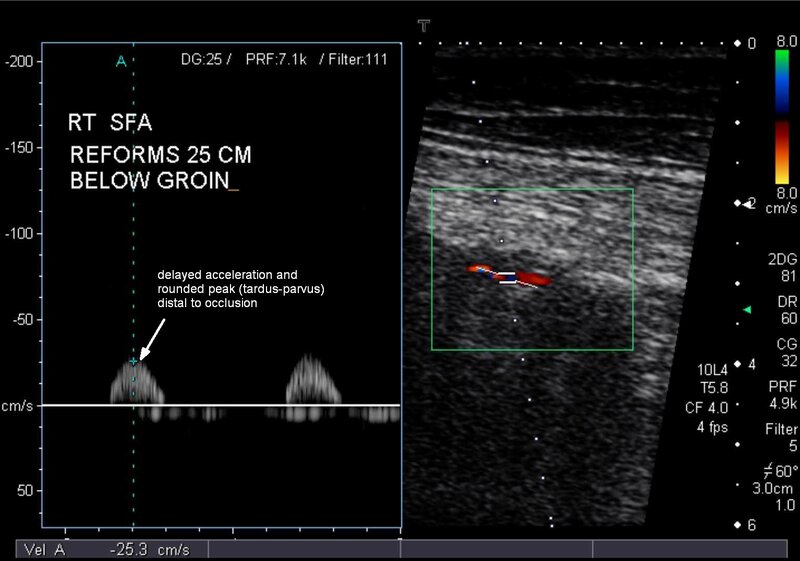 Image 1a, 1b, 1c and 1d (Doppler Ultrasound): Occlusion of the right superficial femoral artery over approximately 25cm which reforms distally via collaterals at the adductor canal. 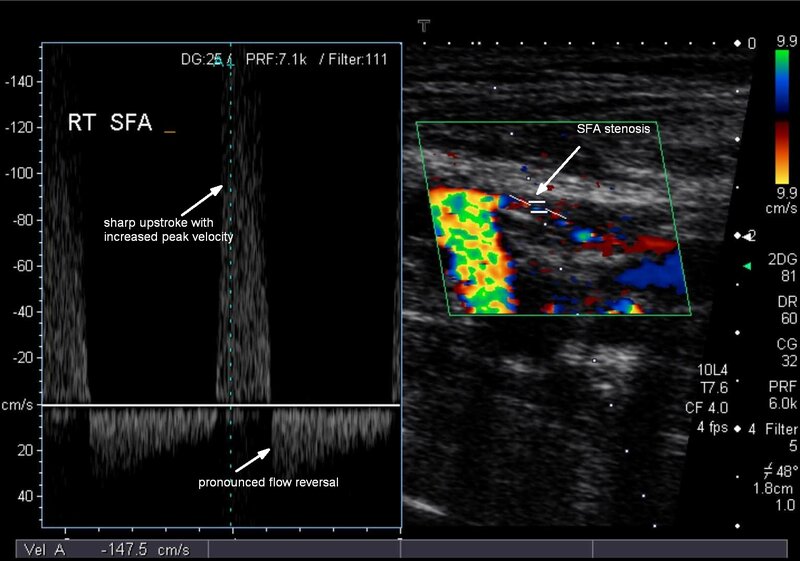 Doppler images and spectral analysis are shown at the level of (Images 1a and 1b) and distal to the occlusion (Images 1c and 1d).